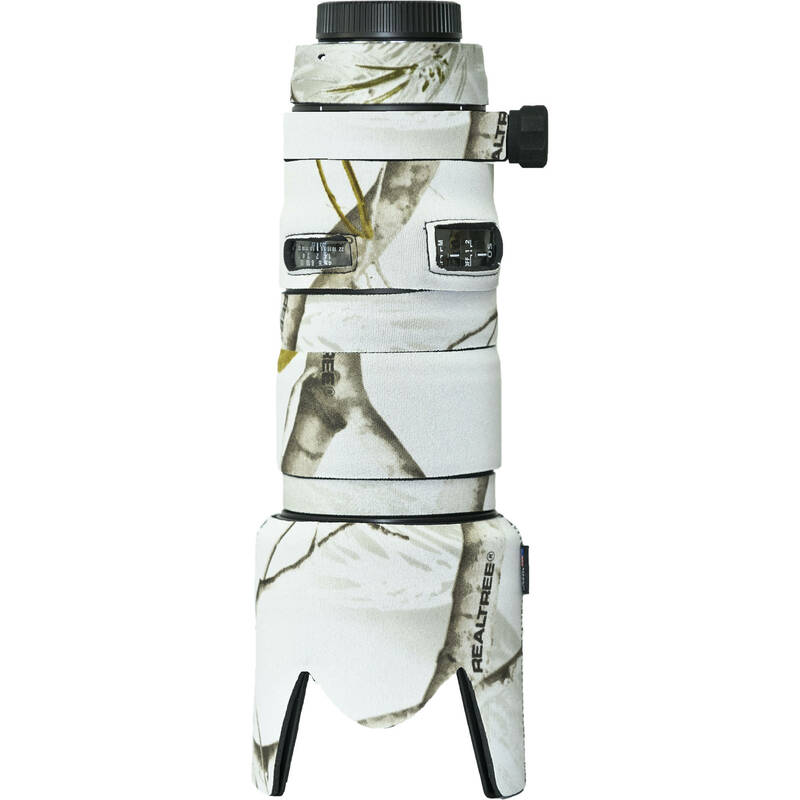 The Realtree AP Snow Lens Cover for the Sigma 70-200 2.8 DG OS AF Lens from LensCoat wraps the lens in a 100% closed-cell neoprene jacket to protect the lens from bumps and scratches. It is useful for nature and outdoor photographers as well as sports shooters and photojournalists. The cover helps break up the shape of the lens, making it less noticeable to wildlife. It also provides a thermal barrier, protecting your hands from cold lens surfaces in low temperatures. The cover is waterproof, providing protection to your lens in wet conditions. The cover is easy to install and remove and will leave no residue on your lens. There is a clear UV-PVC window over the lens controls and distance scale that make it easy to activate the AF/IS/VR controls. For mounting purposes, there is a hole that helps align the lens with the body. Box Dimensions (LxWxH) 8.4 x 5.3 x 1.3"
Lens Cover for the Sigma 70-200 2.8 DG OS AF Lens (Realtree AP Snow) is rated 5.0 out of 5 by 3. Rated 5 out of 5 by Libby from Modify to your liking! I Love the pattern for this cover! You may have too modify it a little to fit your lens, once doing so it is a Great cover! Cant go wrong with realtree camo covers!! Go and get it, you wont be disappointed!! Rated 5 out of 5 by Nature Man from I buy this again if they make to fit a product I would buy ! Fits like a glove easy to use when going from 70-200 mm setting ! !